I just received my first-ever order from Spoonflower, and it looks great! 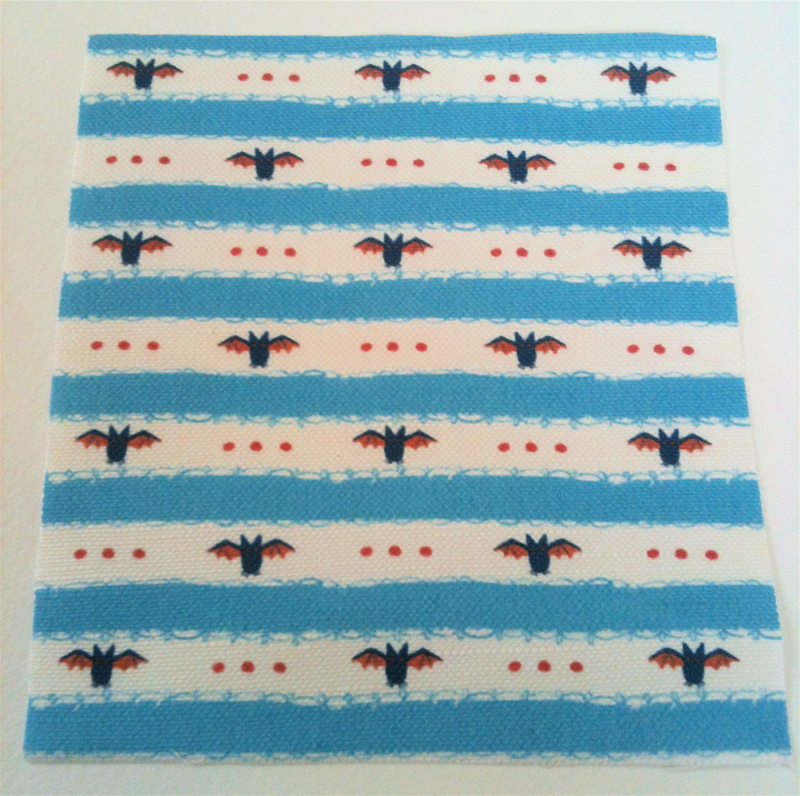 For those who don’t know, Spoonflower lets you upload images and print them on to many different types of fabric, so you can, say, make the perfect pineapple fabric to reupholster some chairs, or order some Stegosaurus fabric to make an awesome dress with. As you may have noticed recently, I’ve been playing around with making some repeat patterns. So the next logical step was to see how they looked on fabric! Looks pretty nice to me! To give you an idea of how small they are, this swatch is about 4.5×4″. I wasn’t expecting the bats to be so teeny-tiny, but it’s growing on me! I think they would look better on a smoother fabric, like a quilting fabric, than canvas. I’m thinking it would be a good idea to try printing out the design on a piece of paper first; an inch or two seems so big on a computer screen, when it is actually quite small. 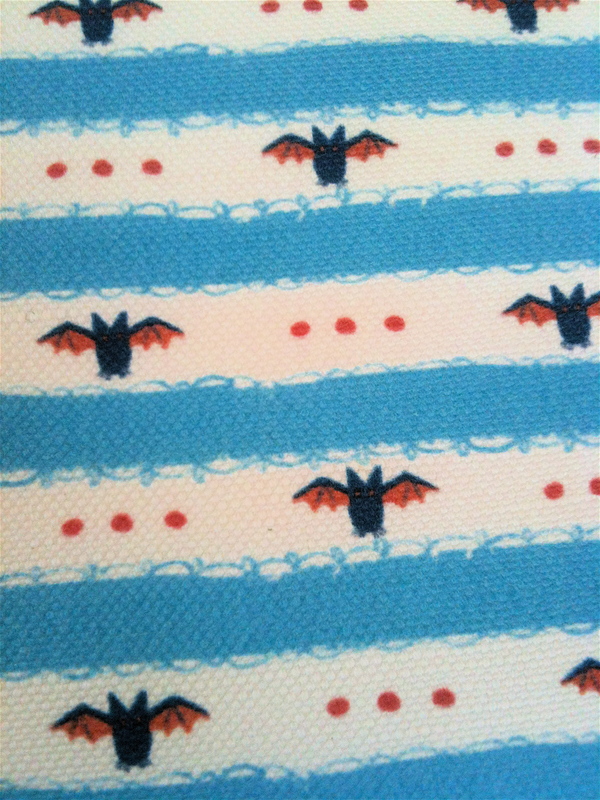 Aaaah Spoonflower…highly addicting! I love your print! Very cute for a lil baby boy! So addicting, isn’t it? I ordered a bunch more swatches today, and the wait is already killing me! are you going to make something with it? But it would make a cute t-shirt for a little stuffed animal! Yes! 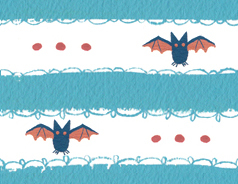 It would make an adorable t-shirt for a little stuffed bat. Or a small vampire girl. A vampire would be so cute! You’re making me miss sewing. haha i like this fabric…id throw it on a snapback and rock it! I’m working on an I Spy quilt and I think this would be perfect. Love it! Cute! Do you have a blog or anything? I’d love to see how your quilt turns out! No, I don’t have a blog but just got the fabric in and will definitely send you a pic when it’s finished! Thanks, I can’t wait to see it!